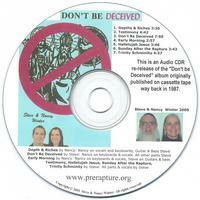 Please note : This is a CDR in a plastic clamshell with no documentation other than the printing on the CD itself. It is a re-release of an album on cassette that we first released way back in 1987. Please note that this CD, while a high quality stereo recording from the original album master tape, is a CDR that we make and print here and does not have shrinkwrap or jewel box or any documentation etc.